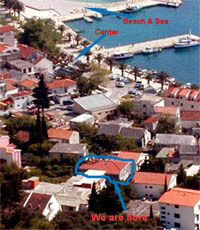 On the picture you may see our position in Baska Voda, it's 3-4 min. walk from beach and from center. The way to house "Villa ANA"